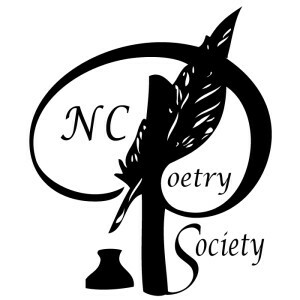 Every September, we look forward to having a presence at the annual Fall meeting of the North Carolina Poetry Society in Southern Pines. This year’s event takes place Saturday, September 16, at the Weymouth Center for the Arts & Humanities. Registration begins at 9:15 am, and the meeting will be called to order at 10:00 am. It’s always an honor to present the winner and finalists of the Randall Jarrell Poetry Competition. This year’s winning poem, “Relics of the Great Acceleration,” by Lisa Zerkle, will be read by Alice Osborn. First Runner-Up Eric Smith will also read. Alice is the Vice President of NCPS; she is also the Secretary for the Board of Trustees of the North Carolina Writers’ Network and a longtime regional rep for Wake County. It’s hard to imagine a better representative for the Network on Saturday than Alice, and we’re grateful. Other programming includes readings from the winner and finalists of the Brockman Campbell Book Award—including NCWN members Alan Michael Parker and Katherine Soniat, as well as NCWN trustee Julie Funderburk. NCPS will also host a tribute to North Carolina Literary Hall of Fame inductee Kathryn Stripling Byer and Susan Laughter Myers; a catered lunch; and a reading in the afternoon by Philip Shabazz. The Weymouth Center for the Arts & Humanities houses the North Carolina Literary Hall of Fame. It also hosts Writers-in-Residence, and serves as a beautiful event space throughout the year. For more information about the NCPS Fall Meeting, click here. It is open to the public for a reasonable fee. This was written by charles. Posted on Thursday, September 14, 2017, at 9:58 am. Filed under Uncategorized. Tagged alan michael parker, Alice Osborn, eric smith, julie funderburk, Katherine Soniat, Lisa Zerkle, NC Poetry Society, philip shabazza, susan laughter myers, Weymouth Center for the Arts & Humanities. Bookmark the permalink. Follow comments here with the RSS feed. Both comments and trackbacks are currently closed.